Nike SB will pay tribute to the Air Jordan line once again with these Nike SB Dunks that echo the “J Pack” pairs of old. 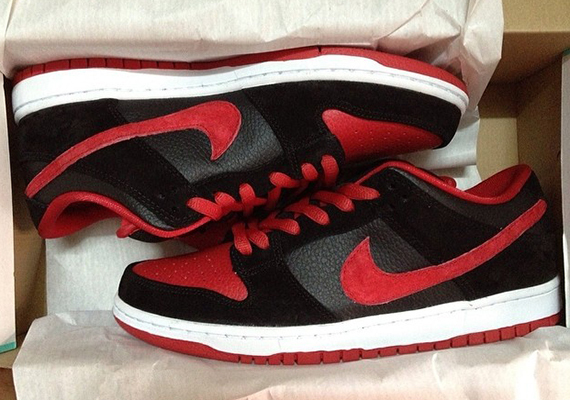 There are two Dunks on the way that will do that: the Nike SB Dunk Low pictured above that features a “Bred” looking combination, and the Nike SB Dunk High after the click that extends the royal treatment to a slightly more fitting height. Let us know down in the comments how you think these new Dunks compare to the original J Pack ones and watch for them to release at skate shops around the globe in the coming months.